If you’re not sure which version of MySQL installed on your server, there are multiple ways to find the MySQL server version number. Also, you can ask your hosting provider, I guess this is the easiest and simplest way! I’ll show you a couple of ways in this article. Let’s explore different ways to check the MySQL version installed on your server. If your server has PHPMyAdmin script installed to manage your MySQL database, then you’ll have access to all MySQL details through phpMyAdmin tool GUI. 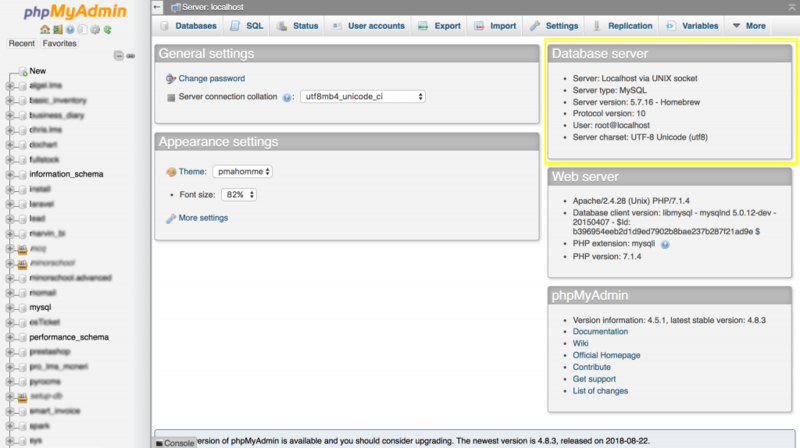 Login into your phpMyAdmin admin panel and check the Database Server section on the top right corner. Here 5.7.16 is the MySQL version. Warning! If the MySQL version is not met the minimum requirement to install the script please upgrade the MySQL server before you install the script to avoid unwanted issues.